What’s this? Amos & Andy were heard on two competing stations in the same city at the same time every night? Amos & Andy finished among the Annual Top Ten programs nine times during the Golden Age. 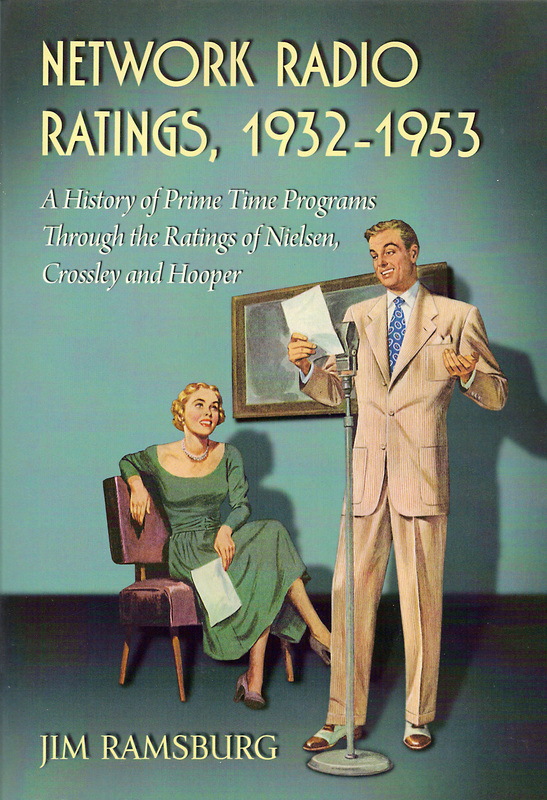 As itemized in Network Radio Ratings, 1932-1953 , Amos & Andy’s total of nine Top Ten seasons was seventh behind Jack Benny’s 19, Lux Radio Theater’s 17, Edgar Bergen & Charlie McCarthy’s 16, Fibber McGee & Molly’s 13, Walter Winchell’s 12 and Bob Hope’s eleven - except Gosden & Correll did it with two separate formats. Amos & Andy was the only Top Ten attraction that fell completely out of the Annual Top 50 only to return again to the Top Ten. Gosden & Correll recorded two Top Ten seasons among all Network Radio programs in 1932-33 and 1933-34, but began a steady decline that dropped them to 70th place during the final season of their Monday through Friday strip show in 1942-43. Their climb back into popularity began in 1943-44 with a weekly sitcom that resulted in seven consecutive Top Ten seasons beginning in 1946-47. Amos & Andy was the only Multiple Run show to be converted into a Number One weekly program. Gosden & Correll’s Monday through Friday strip show was the leading Multiple Run attraction from 1932-33 through 1937-38. Even as the nightly show began to fade, Amos & Andy remained in the Multiple Run Top Ten for another five seasons. When Gosden & Correll converted their faltering two-man program into a weekly sitcom on NBC with a full cast and orchestra in 1943-44, their ratings jumped almost 55% and they were on their way to the top again, leaping in the annual rankings from 70th to 28th place and Number One on Friday night. The New Amos & Andy Show was new in another regard, unseen by the radio audience. It was the first major Network Radio show to employ a majority cast of black actors. Supporting Gosden & Correll's title characters were Ernestine Wade, Lillian Randolph, Eddie Green and Johnny Lee among others plus musical breaks from the Jubilaires quartet. For ten consecutive seasons which included moves to Tuesday and Sunday nights - and a switch to CBS in 1948 - The New Amos & Andy never fell out of its night’s Top Ten and peaked in 1951-52 as Network Radio‘s Number One program. Amos & Andy was the only Network Radio show routinely broadcast simultaneously by two competing stations in the same city. Gosden and Correll’s home station in Chicago, WMAQ, was a CBS affiliate when they began their Network Radio career in 1929. Pepsodent Toothpaste bought the program for NBC’s Blue Network which owned and operated Chicago’s WENR. Sponsor Pepsodent ordered both stations to broadcast the popular program simultaneously every night. That situation lasted for almost five years until the 1934-35 season when WENR took sole possession. Amos & Andy became an exclusive feature of WMAQ in the fall of 1935 when NBC bought the station and Pepsodent moved the show to NBC’s Red Network. When Gosden & Correll took their show to CBS in April, 1940, the network‘s Chicago outlet, WBBM, inherited Amos & Andy. The unusual two station situation was repeated on the West Coast during the first six months of 1941 when - for some unknown reason - both CBS owned KNX and independent station KMPC broadcast the second network feed of Amos & Andy at 8:00 every weeknight. Unlike most of the country where Amos & Andy was a dinnertime favorite, it was heard in Chicago at bedtime. In early 1930, the hit show was among the first network programs to be performed twice daily to accommodate time zone differences, once at 6:00 and again at 10:00, Central Time. With brief exceptions in 1940 and 1942, Chicago listeners always heard the second feed of Amos & Andy every weeknight at 10:00. But as illustrated in The Late Shift on this site, Gosden & Correll’s weekly sitcom, The New Amos & Andy Show, was heard simultaneously throughout the country with no repeat broadcasts - and only on one station per market.